Google has unleashed its latest free search product onto the unsuspecting public: Google Code Search. What new wonders will come from combining this powerful new tool with the software development community? Will we use our knowledge to spot hidden bugs in one another’s software, eliminating software crashes and possibly saving the lives of those that depend on our programs? Or will coders around the world enter a new era of greater collaboration, creating amazing new software that transforms the the way people live? According to Google Code Search PHP developers are the most profane while Python, Java and C# (my language of choice) come out the cleanest. C# ends up winning (or losing depending on your perspective) by a nose. Take that fuckers. More seriously, I don't see Google Code Search changing the world when it comes to the reuse of existing code. Expressing what you are looking for in a class or library in a regex that searches over code is something that strikes me as being very hard to do. I believe the majority of the time you would be better off using plain old English in Google's regular search to find what you’re looking for. Google Code Search isn't without merit however. A place where I can see it being quite useful is when working with an API for the first time. If you're unsure of the way a specific property or method works, and the code example in the MSDN reference isn't any help, Google Code Search provides a means to get a list of real world examples to learn from. Finally, and I guess since it is Google I shouldn't be surprised, but Google Code Search has managed to find and include the code I've written and made public on this site, despite being zipped! If anyone deserves a P/E of 60, it's Google. As alluded to earlier I have have shifted jobs, and have started at a place called Intergen. It is a bit of a culture shock going from 5 people working on one project to over 100 people working on more things than I can count. So far the highlight at Intergen for me has definitely been the people. Besides all being very nice and a lot of fun to work with, Intergen has many of the best .NET developers in the country, including two MVPs and one of New Zealand's Microsoft Regional Directors. John-Daniel Trask - New Zealand .NET Blog of the Year winner. Also known for crazy antics. Trey Guinn - When we first met, for a second there, he had me believing that we were long lost friends. Americans! Nick Urry - Intergen developer and content management expert extraordinaire. Jeremy Boyd - New Zealand Microsoft Regional Director and MVP for SQL Server 2005. John Lewis - Part of the Intergen creative studio. Although I don't always agree with some of his opinions on programming, Joel Spolsky's marketing skills have to be admired. In his most recent post Language Wars, Joel argues that when it comes to picking a computer language for a project you are best off picking the mainstream language you know best. Nothing revolutionary there. Along the way however he slams LISP and criticizes Ruby for not being suitable for commercial programming, citing failed projects, maturity and performance. As probably anyone who reads this knows, programmers can become extremely devoted to their language of choice (which is silly because .NET is obviously the best) and so they tend to get very fired up when their beloved is insulted. The beauty of Joel's post is he then cleverly baits those that he has annoyed by saying that his company has created its own in house language, something that runs completely against picking a safe choice he argued earlier. Subtle tongue in cheek most likely (at least I hope), but at the same time not entirely impossible. Either way Joel doesn't try to explain or justify this paradox in his post and so combines the aggrieved LISP and Ruby developers with ammunition to counter-attack, creating a feeding frenzy of posts, links and hits. Joel Spolsky run over by train. Pictures at 11. I'm changing jobs soon and after nearly 3 years of working with Oracle, and little chance of my using it in the near future, I'd like to share (vent) some of my top Oracle peeves. To be honest I've always found the dual table kind of facinating although Oracle's limitation does make some do crazy things. In PL/SQL when you want to populate a variable with a value from a table you use "select into". The select into statement has to return one row. If none are returned then you get a no_data_found exception. If more than one is returned then you get an aptly named too_many_rows exception. Sound fairly simple? The gotcha is that if the exception is thrown by a function being used inside a SQL statement then it is automatically caught. The hows and whys of this behavior confused the bejesus out of me until I came across this Ask Tom question. Apparently Oracle promotes the use of varchar2, rather than varchar, because it wants to avoid problems if the SQL standard is ever changed so that possible new varchar behavior doesn't cause bugs in existing code. DBAs are big on backwards compatibility so a change like that seems a pretty big if to me. Personally I think Oracle should have just stuck with varchar. If the standard ever changed in a way that caused bugs with existing code either used a database flag to turn it on or off or at that point introduce a varchar2 with the new behavior. By default the length on a varchar2 column specifies byte length, not the number of characters. Most commonly used English text is single byte but it can be a bug lying in waiting if you are unaware of it. Empty strings are considered null. '' = ''? Not in Oracle! The string concatenation operator in Oracle is ||. Yuck. To be fair to Oracle this is the operator specified in the ANSI SQL standard. Memory UsageOracle likes it's RAM. Having a dedicated database machine (at least if you're writing, running and debugging .NET applications from Visual Studio) is pretty much compulsory. Oracle having Java embedded inside it can't help. In PL/SQL you can't use the result from a select in an expression. Instead you have to declare the variable, select into the variable (don't forget no_data_found and too_many_rows error handling!) and only then use the variable in an if test or whatever. Painful. Packages are a Good Thing™ and I have a feeling I'll miss them in SQL Server land but separate headers to control external visibility is so 1990. Having to modify the header signature along with the body is annoying. Woah. Sixth Form Certificate programming class Pascal flashback. 10g or 9i? R1 or R2? x86 or x86-64? Redhat Enterprise Linux, Fedora Core, SUSE Enterprise Linux or something else? There are a lot of permutations and luckily for you there are instructions for all of them because Oracle installs on each of them differently. Hurrah! To be fair to Oracle, its quirks and WTFs can't compare with the silly things some developers do with it. I upgraded to Community Server 2.1 last night and I have to say that the experience was surprisingly painless, even for someone like myself who is not use to SQL Server's heathen ways. Apart from the SQL upgrade script balking because of an old record missing from the cs_SchemaVersion table (I just added it manually) the updating the database went without incident. Upgrading the web application was slightly more time consuming as I had to merge my changes to the *.config files with the new versions but after that I just copied my custom theme directory across and then uploaded it to the server. The admin area is much improved. Most the rough edges around the post editor and post grid have been smoothed out. Also the new "named" URLs are much better than the old number system. I went through and updated all of the previous posts to use them (the old URL still works). If I were a generic collection, I'd be strongly typed for you. You must be the latest version, because I've been checking you out. I have a small problem. I put an object in a Dictionary, but I lost the key! Can you come back to my place and help me look for it? A TypeConverter just returned my heart, and it's ready to assign to you. Let's turn off option strict and do some late night binding. So, what's your hash code? The moment I saw you I knew my singleton days were over. There is nothing IDisposable about my love for you. I've been reflecting on your Attributes and I like what I see. And hike a few more BiPS. WebDialog 1.1 has been released. Much improved support for Atlas is the primary feature of this WebDialog release. New Feature - Improved Atlas support in Internet Explorer and Opera. Bug Fix - Fixed validators nested inside a dialog with client script enabled not displaying their error message when they failed. Thanks again to the people that have tried out Json.NET and have reported bugs or offered suggestions. This release addresses all the issues that you've reported and that I'm aware of. 1.1 also adds a few new features. New feature - XmlNodeConverter class provides a means to easy convert between Xml and JSON text. SerializeXmlNode and DeserializeXmlNode helper methods have also been added. New feature - Improved date serializing and deserializing. Bug fix - Lots of little fixes to JsonSerializer. The big new feature added in Json.NET 1.1 is a converter class for XML. By using XmlNodeConverter (or the newly added helper methods) it is now extremely simple to convert JSON to XML and vice versa in .NET. Elements, attributes, text, comments, character data, processing instructions, namespaces and the XML declaration are all preserved when converting between the two. The only caveat is that it is possible to lose the order of differently named nodes at the same level when they are grouped together into an array. Attributes are prefixed with an @. Single child text nodes are a value directly against an element, otherwise they are accessed via #text. 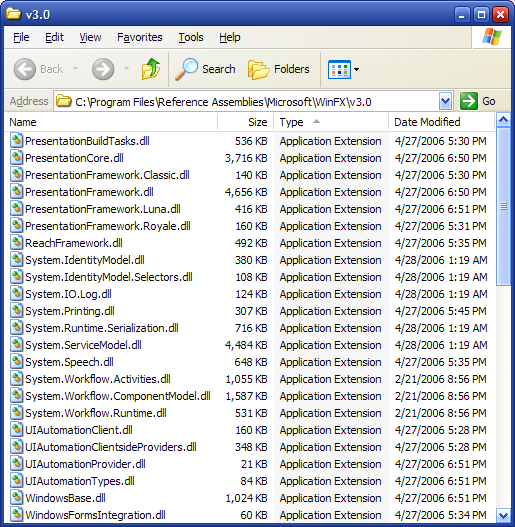 The XML declaration and processing instructions are prefixed with ?. Charater data, comments, whitespace and significate whitespace nodes are accessed via #cdata-section, #comment, #whitespace and #significate-whitespace respectively. Multiple nodes with the same name at the same level are grouped together into an array. Json.NET 1.1 can be downloaded here. Bug Fix - JsonSerializer no longer errors when deserializing certain .NET objects. Change - The JsonWriter QuoteChar property now defaults to double quotes and QuoteName is now true. This has been done to make the JSON output follow the json.org specification. New Feature - JsonSerializer will attempt to use a classes TypeConverter to convert the JSON value to a members if the two do not match. The new 1.0.1 version can been found on the download page. Thank you to the people who have tried out Json.NET and given feedback. When growing up from time to time when I gave my name to someone I was often asked if I had any any relation to the Newton King of Taranaki. Apart from knowing that someone of importance must have lived there, I never had any idea what they were talking about. After yet again being asked about the subject yesterday I bit the bullet and googled the name. It turns out a man called Newton King (first name Newton, last name King) was born around 150 years ago and was quite a successful in business, running a company of the same name. Apparently prior to World War I, Newton King (the business) was the largest privately owned company in the Southern Hemisphere. Quite remarkable considering the small size of New Zealand. Json.NET is a JSON .NET API for simply and safely reading and writing valid JSON text. At the core of Json.NET, similar to the .NET XML APIs, are two classes: JsonReader and JsonWriter. Also like XML in .NET, Json.NET includes a JsonSerializer class. JsonReader is a fast, forward only, readonly cursor. Like XmlTextReader it works over the top of a TextReader and maximizes performance while minimizing memory use. The following code is a brief example of how to read a JSON object. JsonWriter is also forward only, and writes JSON text to a TextWriter. It handles formatting numbers, escaping strings and validating that the object is valid. The following code is a brief example of how to write a JSON object. JsonSerializer, similar to XML serialization, provides a hassle free way to automatically convert .NET objects to and from JSON text. The following code is a brief example of how to serialize and deserialize JSON and .NET objects. Beta 2 of WinFX was released a couple of weeks ago. Even though I've been quite excited about what Microsoft has been doing with WinFX, I've learn't to stear clear of Microsoft community previews and the beta 1 release. APIs are too volatile, there is little support out on the web for when you run into problems (which you will) and chances are that even when a more stable version does get released something from a previous version will cause problems. CTP Madness indeed. Strangely, even before I'd managed to install WinFX it ceased to exist. A name changed was announced, with WinFX now a part of .NET. Although there has been much nashing of teeth and rendering of clothing both from the usual suspects and some Microsoft developers, I believe the name change was a good move. One name are one download will be less confusing for users and to most developers. All they need to know is that to run or develop an application they need a specific version of .NET. Having to worry about X version of .NET, Y version of WinFX, plus whatever else comes out in the next couple of years is too much for most and really, 99% of the public don't need to know. One download, one name. KISS. Hmmm, this may take a while. The source and dll for the project can be downloaded here: CaptchaControl.zip About A CAPTCHA image displays text that is readable to humans, but not to computers. The concept is useful because it provides a means to filter out automated programs while allowing real users to pass through. Bots for example, which spam comments on weblogs and other dynamic websites, are a fairly pervasive problem and even a regularly new and low traffic blog like this was getting dozens of spam comments every day. CAPTCHA is a means to stop them while still allowing real users to post.CaptchaControl is an ASP.NET server control that is designed to start working by just being dropping onto the page, without any modification. This version is based off Michael Trefry’s implementation, which is in turn based off Dan Burke’s. My update fixes a couple of issues around storing the code in a browser cookie and adds features like client validation. CatchaControl OverviewThe CaptchaControl class is a composite control and encapsulates the CAPTCHA image, a textbox for capturing the result and a validator for verifying the correct code was entered. It handles hooking all the controls together, pointing the image src towards the image handler and maintaining the state of the code, which is stored encrypted in a hidden form field and then decrypted on postback. UsageRegister the CaptchaHandler by adding the following to your web.config’s httpModule element. The IsValid property on the page will automatically be set when the page’s validators, including CaptchaControl, are evaluated on postback. Consuming The Web EventThe great thing about ASP.NET Web Events is that you can decide how you want to log the event, and it is simple as modifying your web application's web.config file. For example in just a few lines you can configure ASP.NET to log all errors to your database or send them to an email address. The rule below for example will log all errors to the database. You can learn more about using ASP.NET Web Events here. K. Scott Allen, one of the many Scotts who seem to develop in .NET, has written a comprehensive article called Master Pages: Tips, Tricks, and Traps that looks at the new ASP.NET 2.0 feature. I use a couple of those features myself to handle page titles and descriptions, and I highly recommend it to anyone planning to use master pages in the near feature.One trick that I’ve found useful and that isn't in the article is how to modify master page content depending upon whether a ContentPlaceHolder has any content.For example you might have a ContentPlaceHolder on your master for related pages. To make it easier to later modify your design later you want to put the HTML for the container and title in the master, rather than every individual page. Unfortunately doing it this way will leave a box and title without anything else on a page that didn’t include any related links. The fix to this problem is testing if the ContentPlaceHolder has any content, hiding the divRelatedPages control and title if it doesn’t.To make this test easy I’ve created an IsControlEmpty method. The code inside it is quite simple. It returns true if the placeholder has no child controls or if it has just one child LiteralControl that contains nothing that whitespace. 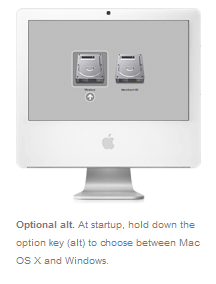 A blank LiteralControl is what is created when an auto-generated placeholder is left empty. Now simply pass the placeholder control to the method and hide divRelatedPages based on the result. Version 1.0.3 of WebDialog has been released. This release is primarly focused on bug fixes. Also included is the source code of 3 example websites: Callback sample, Modal sample and IFrame sample. 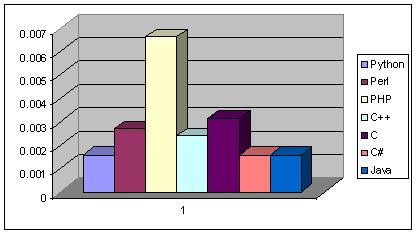 The samples can also be viewed on the updated WebDialog online demo webpage. Other - Added three sample websites to the WebDialog download: Callback sample, Modal sample and IFrame sample. Bug Fix - Fixed the page overlay not hiding with the dialog if Show() was called multiple times. Bug Fix - Message of exceptions thrown during a callback are now displayed in the dialog. Future versions will allow this to be customized in a template. Forget personality, IQ, love and every other test or quiz on the internet; the Web 2.0 or Star Wars Character test is here. The creator has somehow managed to combine the ridiculing of the silly Web 2.0 bandwagon that is currently going around with Star Wars. Surely this is the perfect storm of quizzes. 37/43. I love Star Wars as much as the next IT professional but come on! This release has a couple of bug fixes and new features. 1.0.1 was a minor update correcting the help file. New Feature - Added hover and click states to the dialog hide button. New Feature - Added dialog icon image. By default this shows a different icon depending upon the user's browser. Currently has IE, Firefox, Mozilla and Opera icons. New Feature - Added a ContentStyle property. Bug Fix - DropDown jump issue on Firefox. Bug Fix - Text selection is no longer disabled when dialog is visible. The simple fix to this is to include the script tag with the link to http://www.google-analytics.com/urchin.js at the bottom of webpage, which Google now recommends doing. If the Google Analytics website goes down, and the file is unavailable, the page will continue to display normally. Although this solves the big problem of no content being display, there are still two issues. The first is that any calls to the Google Analytics functions such as urchinTracker to track downloads or outbound links in click events will break. The script containing the function hasn't been loaded, either because Google is down or the user simply clicked the link before the page reached loading the script tag linking to Google. The solution to this is test whether the function exists before it is called. 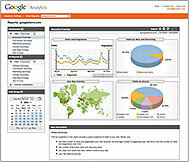 Google Analytics is a powerful service, at the right price (free!). Hopefully by taking these precautions you should be able to continue tracking visiters with Google Analytics without it interfering with the rest of your website. Don't host a local copy of urchin.js yourself and link to that. The reason Google is giving out a link to a file, rather than the file itself, is so that they can easily update it when fixing bugs or adding functionality. Updates will trickle down to all websites automatically. If you are hosting urchin.js yourself then one day stats for your website may stop working without warning because your version of the file has become out of date. Google has added a page about to their website about hosting the urchin.js file locally. For the same reasons I wrote above they don't recommend it. Newtonsoft WebDialog 1.0 has been released and is available to download and to buy. I'd like to thank those that tried out the beta and provided feedback. You helped me fix a number of bugs and cater to some scenarios that I wouldn't have otherwise thought of, and WebDialog is a better product for it. If you have any questions or queries, don't hesitate to ask. Bug fix in IE where the page would flicker after dragging the dropdown and then changing a dropdown. You've gotta love IE. Added the name of the WebDialog browser object to the IFRAME. This allows it to more easily be referenced from nested dialog pages. Added documentation. Included is a class reference of WebDialog and other objects, and some task based guides to help new users getting started. They are: Display Content; Hiding, Showing and Positioning; Customizing Appearance; and Creating Modal Dialogs. Packaged everything together in an MSI installer. Maybe I'm going a little crazy here but the women who narrates the Google Adwords demos sounds exactly like a female voice actor from the computer game Freespace 2. The resemblance is uncanny. Newtonsoft WebDialog has gotten to the point where I feel it is ready to begin beta testing. Documentation is still largely work in progress but there are installation instructions and intellisense for all new objects, as well as a quickstart guide on this website. The WebDialog beta is fully functional when developing on your own computer. If you encounter any bugs or have any comments I'd love to hear them. You can either use the support request form or leave a comment here. Essentially WebDialog is an ASP.NET control for displaying dialogs inside the browser window. 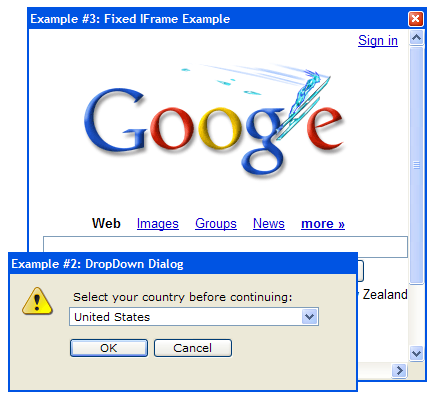 It allows developers to display dialogs when, where and how they want to without all the current browser restrictions. Display user friendly dialogs inside the browser window. Display dialogs and popups where and when you want. Can create splash screens, confirmations, ad popups, modal dialogs and more! WebDialog is not quite ready to be released but it should be available within the next few weeks. In the mean time I have put it’s webpage up here. The webpage goes into detail on some of the features mentioned above as well as having more screenshots, a quickstart guide on how it to use it within ASP.NET and some online demos to try out. Welcome to my blog. Peer pressure has claimed another hapless soul. All the cool kids are doing it and who am I to argue with them? My name is James Newton-King and I am (at the time of writing this) 22 years old, live in Wellington New Zealand, and am a software developer. You should also know that I'm the kind of person that would spend 10 minutes on Google researching what other people said in their first posts before writing this. I'm not sure what they says about me. So whats this all about then? Here I'll be blogging about software development in general and .NET and developing on the web in particular. I've learnt a lot from reading other's blogs at blogs.msdn.com and weblogs.asp.net, and articles at sites like Code Project; and I would like to give something back to other new developers. Finally, occasionally something off topic might creep in here. It might be about IT. It might be about current events. It might even be something personal. As a request to all both of my future readers, if you ever catch me blogging about what I had for breakfast, please do everyone a favour and tell me to shutup.